I am a white male, and I am prejudiced. It's a conversation starter that immediately sends up innumerable reactionary responses. Defensive retorts from the right, jaded hissing from the left. It's a conversation some of us have had before. I'm grateful that my first conversation about my own prejudices did not happen in public, but I'm glad I've had public conversations about prejudice. 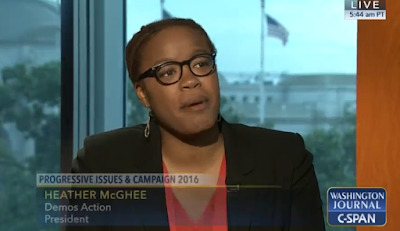 What followed after the above statement, said by a guy calling in to C-Span and identifying himself as Gary, was a pause and then a brilliant response from a woman named Heather McGhee. She discussed the disproportionate coverage of minority crimes in the media. She discussed systemic, endemic, unconscious bias. She thanked him for admitting he knew he was prejudiced - because, these days, many don't see themselves as prejudiced; they see themselves as "truth tellers". 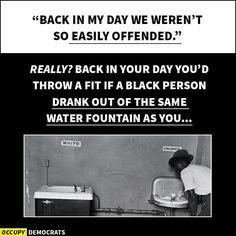 He personifies this era of decrying being offended, but at the same time visibility for the oppressed is greater than ever. For all the hurt and awfulness surrounding the transgender community, people of color, police brutality, political corruption, bullying, and more, we have never lived in a time where these issues are also, simultaneously, made visible to the masses and we have positive examples of these marginalized communities to uphold. 2016 has been a quagmire of emotional reactions to political and social discourse, but Gary is that part of all of us who says...you know...maybe I could be wrong... I wonder what would happen if I stopped being prideful long enough to live in a space where I could be wrong. What would happen? What would happen if I asked questions? What would happen if I went outside my comfort zone? We all wonder. But then someone posts an inflammatory meme on Facebook, and we're right back to arguing about whether the hypothetical dress is white and gold or blue and black and we decide to think difficult thoughts another day. I'd like us all to be Gary. I'd like us all to...no matter our political or social leanings...get to a place where we can lay our pride and self-righteous attitudes aside long enough to ask, "What if I could be wrong? What would happen? ".